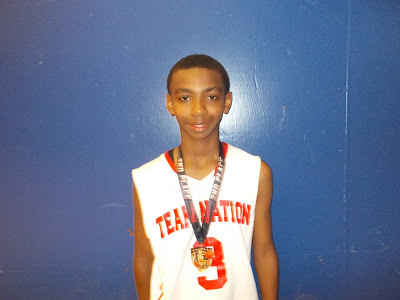 During the season Trey Patterson established himself as one of the top 5th Grade players in the region. Nations Basketball Academy made a strong running including a Grand Finale championship game appearance. The big guard’s play earned him the Basketball Spotlight 5th Grade Most Outstanding Player Award. We would like to congratulate Trey and wish him luck in the future. J.E.M. ALL STAR CLASSIC 8TH GRADE HIGHLIGHTS! "Terminator" Harris Looks To Blaze Saturday! Mayweather Martin Ready For His Curtain Call! Nate "The Great" Has One Last Dance!